Sometimes it seems that F1 cannot go five minutes without some sort of scandal running in the background. Just when we thought it was safe to go back in the water, the Brazilian press reports Piquet Jr's allegation that he was ordered to crash in Singapore last year to help Alonso to the victory. Suddenly we remember the conspiracy theories that arose at the time and begin to wonder whether such a crazy scenario might actually be true. The sensible attitude would be to regard the story as sour grapes from Nelsinho, just as David Coulthard does. But it seems there may be more to it than meets the eye. According to The Independent newspaper, "a source within the governing body" has said that there are other issues concerning the Renault team that will also be investigated. Terrible memories are stirred of how the Ferrari documents scandal began as a minor report of sabotage by a disgruntled Ferrari employee, only to escalate into a monumental affair that destroyed the reputation of F1 and many of its participants, perhaps permanently. Recalling how the FIA seemed determined to air the sport's dirty linen in the most dramatic way possible (but somehow reluctant to admit its own faults and failings), I begin to wonder whether the idea is to keep F1 constantly in the public eye. All publicity is good publicity, they say, and many are the occasions when we have half-jokingly surmised that the diminutive impresario, Bernie Ecclestone, is behind it all. While I try hard not to believe in every conspiracy theory that comes along, the steady feed of scandal that keeps the attention of the press upon F1 is beginning to make even me wonder if this is all deliberate. Is not the racing itself sufficient to hold the attention of those who really matter, the fans? Can the sport not exist without lurid stories in the gutter press? And does the FIA really have to make such a fuss about everything that comes along? The huge kerfuffle over a few fibs told by Hamilton and a McLaren team manager earlier this year is just one example of how things are blown out of proportion, apparently at every opportunity. If only the sport and its governing body would realize how unimportant it is in the greater scheme of things. It is still guys racing each other in cars, that is all. A little humility and discretion would surely put a stop to this eternal round of scandal and outrage. This latest uproar is supported only by the allegations of one man, after all; nothing has been proven as yet. I see no reason why the FIA should not quietly find out the truth of the matter before announcing an investigation and allowing leaks about other indiscretions. Whether the story is true or not hardly matters now anyway. The results of the Singapore GP are ancient history and it would serve no purpose to change them at this stage. If there were indeed any nefarious deeds behind Alonso's win, he and his team are punished already by their knowledge that it was a victory achieved by cheating, a fact that must forever diminish its value in their eyes. Sometimes it is better just to shrug and move on. And was not that exactly how we all handled Norberto Fontana's allegations of race fixing by Ferrari? It is done and dusted, gone forever, and we do nothing but harm by digging around in the dirt. You are ao right on the nail here Clive. I cant even begin to think what FIA hopes to achive with all this fuss. An if they want F1 to stay intact after 2012, they might want to consider taking care of it's participants right away, instead of running around with thw shovel and throw dirt inn the face of everyone. Björn: And, apart from anything else, it just gets tedious, doesn't it? It get tedious for sure but I strongh disagree. For start you are framing your argument on wrong info. Nelsinho hasn't open his mouth about it so far, he might be the source, he might not, but we don't know that yet. A veteran Brazilian journalist - the guy was already covering races from the paddock in Fittipaldi days - broke the story that FIA had start an investigation about that race. FIA confirmed that half an hour after news break in english press. Joe Saward has now confirmed that both Alonso and Symonds were interviewed during Spa weekend. So the Brazilian guy was very much right about what he reported and FIA didn't act because the press start to talk about it, quite the opposite. Also, as much as I distrust FIA they have handle it very well so far. They didn't actually seek headlines or lunch a public vendetta against Briatore, they were trying to do this as quiet as possible till news break. They even hired an outside firm to conduct the investigation which shows how serious they are treating this (and even that FIA is pretty aware they don't have much credibility in such matters). I'd also argue FIA is treating this to seriously for it to be just Nelsinho claiming he did it. And they should given the current money going into sports bet, this has potential to actually turn into a criminal case that can be away worse for sports credibility than Mosley/FOTA fight. Your last paragraph is very telling about everyone state of mind about it. Last year I was one of the first to say such idea was an absurd, but given the tone of the bits and pieces so far I'd say we are all in denial over the fact that it might had happen (which doesn't mean it did) and it might have quite serious consequences. More rubbish! If they were smart they'd save this for the off season when nothing's going on. This ridiculous witch hunt for morally and ethically decrepit acts is the stuff soap operas are made of. If it happened and it's wrong, warn the team or teams involved privately it will not be accepted again. If and when there is a guilty party, then release a statement. The group of people who are running F1 are incompetent. They will not become competent because FOTA shakes their hands. They will only become worse, more senile, more blind and less caring of the GP fan. We are not who they are catering to. Yes Clive. It does get a bit tedious, and it is really beginning to get to my nerves. When are we going to be allowed just to enjoy F1 as the sport we love so much, without all the politics an miscrediting always going on in the background as of lately. then the pure fact about this lates "scandal" might have been distorted in media,as it always does. But the fac still remains. FIA does not seem to be capable of letting F1 be a sport. They really seem to want it to be handled as something else. I watch Formula One because i love the thrills, and i absolutely adore all those technicians and mecanics who live their lives just to be able to compete and to win in the sport. I don't want to hear about all the other stuff, it just gives me headaches and makes me sad. i don't want f1 to be destroyed by politicians who don' care about the actual sport. It may be seen as a bit over the edge if Flavio actually happened to ask Crashman to actually crash the car by his request. But if that is so, why did it have to take a whole year to find it out and to start the investigation. Anything that has happened as long ago as this, should be left forgotten, especially if it really did'nt play any major role in the actual chanpionship. I found the whole rumour/allegation quite troubling. It is one thing for a team to allegedly order drivers to shoot a chicane, slow to allow a team mate to pass, tell a different tale to the stewards,etc. but to tell a driver to deliberately crash (and for that driver to follow the order) to give a team mate the win is quite a different matter if only from a safety angle. The possibilities of a horrific result if anything went awry are endless. Which is why I really had trouble crediting this to start with. IF there is any truth Renault would deserve to be banned for an entire season or more. It would be nice if this could have been kept under wraps until an investigation is done but, welcome to the glorious 24 hour news cycle. Not much can be hidden indefinitely anymore and even the most trivial story (actually, especially the most trivial) explodes into something larger than it's worth. I think the problem lies much deeper in a disease that is blighting sport the World over, a need to win at all costs. From rugby players using blood capsules to football players diving in the box, from tampering with the cricket ball to removing the filters of a fuel hose etc..etc, the motto `Its not whether you, Win, Lose, or Draw, its how you play the game` is now the words of a loser. But even though I thought the crash suspicous, it then makes no sense that Flavio would sack Jnr, mid season, with Jnr having that to hold over Him, there`s something in this that doesn`t quite add up! ( perhaps Mr Whippy has been talking to Snr? ). The whole thing seems very implausible. Firstly, what team would be callous enough to ask one driver to crash for the other? Secondly, what driver would be unprofessional/scared enough to comply? Third, what driver, having done that, would have neglected to report the matter to the FIA? Due to a 2003 rule originally designed to encourage engineers to engage in whistle-blowing on their teams' technical infringements, it is possible for someone to report a breach of regulations (as suggested by the conspiracy) without revealing identity and becoming £1m richer in the process. The only reason I can see for this is that the FIA maybe wants Renault out so that it can introduce another Cosworth team into the mix and thus increase its power over F1. Nick: I suspect that the real customers being catered for are readers of the gutter press who love a good scandal. The trouble is that none of them will know what happened in the Singapore GP and will not understand what the fuss is about. The publicity is wasted therefore, except to add fuel to the fire of those who ridicule F1. Vera: Quite frankly, I don't believe a word of it. And, if it is true, I'd rather not know. There are times when it is better not to be told what goes on behind the scenes and I want to retain at least some of my belief that F1 is a sport, not a freak show. Gusto: Agreed that the drive today is to win at all costs. And what has made it that way? I would suggest the love of money as the prime cause. And you're right that it would be madness for Briatore to treat a driver so badly, considering what Piquet knew. It just seems so unlikely that I cannot believe it. Alianora: A conspiracy theory! The world has gone so mad that it may even be possible that the FIA would get rid of a manufacturer team to make way for a new customer for Cosworth. Personally, I think the story is ridiculous. For such a thing to have occurred, Renault would have to have asked Piquet *during* the race, surely? And the only means to have done that would be via the radio - which aren't the FIA listening to? Even if it did occur - and I don't it could have, surely - then what good does an investigation do now? I was at that race & loved every minute of it. I parted with a good sum of money to be there, and I really want my good memories of it & Alonso's win to remain intact. Whilst I would not condone cheating at all, in any form, these things need to be dealt with at the time. Twelve months down the track is really missing the boat for opening up an investigation on this, IMO. I believe the FIA remained silent about the matter until the press asked them to confirm the investigation. Their quote was something along the lines of: "Yes, we are investigating certain areas of a previous GP event." Their response was very vague and didn't sound to me like they were trying to get something going in the press. Quite the contrary. Of course it's a ridiculous idea anyway. Considering the number of people that would have to be involved, anyone who believes something like that could be pulled off and kept under wraps for almost a year...well, I'd like some of whatever it is they're smoking. Pink Peril: Theoretically speaking, Piquet could have been told pre-race to bring out a yellow flag when Alonso pits. After all the posturing by Mallya over the past few days I was for sure Fisi wasn't going to Ferrari. 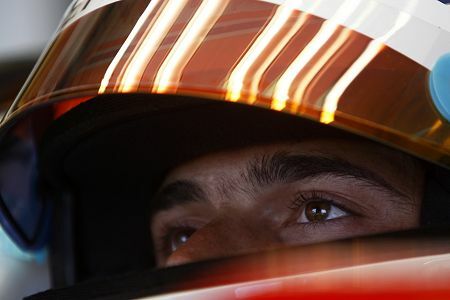 I'm glad Fisi got the chance though, it is the dream of any Italian driver and he surely deserves it. Looks as though Kimi stands to be seriously challenged at Monza. Once again I'm amazed at how mercenary this "sport" has become. It would seem Ferrari own a great deal of it. To pluck drivers from other teams at will is about as arrogant as a team can get. Weren't they just pointing the finger with accusations of poor sportsmanship? I'm beginning to understand why there are those who don't consider this a "sport." I remember fondly when it was. Hard to imaging Stirling Moss giving up chances to win championships because he preferred to remain with lesser teams of his fellow countrymen. Autosport is reporting that Renault has been called in regarding the charges. Apparently the muck is to be raked, panned and sifted. Hmmmmm Lotus/Cosworth anyone? The Tru7h: Agreed, I am quite surprised that Fisi got the Ferrari job but pleased as well. His dream has always been to drive the red car and now he gets his chance in the twilight of his career. It will be interesting to see how well he does (at least it won't be hard to do better than Badoer) and, also intriguing, how will Liuzzi do in the Force India? Vera: All sounds depressingly reminiscent of the Ferrari documents affair. How much more of this sort of self flagellation can F1 take? How much longer before the politics start outweighing the perks for the drivers?! I still just can't believe a team would order or even suggest this and even less that a driver would agree to it. Any team would have to realize that even if they were tempted it would come out eventually and the consequences would be dire. I know Senna was never punished for taking out Prost that time in Japan but that was a completely different era. Something like this could get a team-and indeed a manufacturer banned from F1 if not every other FIA sanctioned series they care to run. I'm still hoping this is all just a fabrication or exaggeration. I honestly find it very difficult to form an opinion. coincidence. But, Piquet really did have problems keeping it on the road. Not clear it was instigated by Nelson Piquet. the driver with the most precarious seat in F1. As the most disgruntled & bitter former driver in F1, you've suddenly got a potential witness for an otherwise unprovable case. So while it does sound like those inside F1 had shrewd guesses but knew it was unprovable. However, also equally possible that Flavio is heinously guilty of offering to promote the former F1 teams in a well organised rebel series and thus clearly deserves to rot in hell. Mosley and Ecclestone are reaping what they’ve sowed. Neither one have any respect for the racing community which has, in turn, created a racing community that has no respect for either of them. Their behaviour, going back to the bias they agreed to with Ferrari, has all but destroyed F1. They allowed Ferrari to cheat so how can they possibly be surprised that the other teams try to find a way to fight back? Mosley, like an out-of-touch headmaster, has tried to rule with an iron fist which is an absolutely ridiculous way to try to control extremely clever, highly motivated people who spend their time pushing envelopes. He (Mosley) has stolen from the community to satisfy Ferrari’s greed and now he is reaping the benefits. The manufacturers themselves have too much at stake to be directly incriminated so all they can do is run when things get messy. This plays into Mosley’s hand as they (the manufacturers) are to big to be bullied. Every single time a team or individual(s) have been involved in illegal activities, probably as far back as Honda’s fuel tank if not further, can be attributed to teams trying to find a manner in which to compete with Ferrari and their crooked dealings with Ecclestone and the FIA. In hind sight I would have been extremely surprised if the racing community had not done what it has. Any organism, be it government, church, school or private company, that is run incompetently has and will suffer from forms of rebellion. As long as these two and the despicable culture they have installed remain, there won’t be equality or peace in Formula 1. I must admit that, at first, I was certain the story was a load of nonsense but am having doubts now. F1 Fanatic is running a poll on whether people believe it or not and, so far, the believers outnumber the doubters, if not by much. Many interesting points are made in the comments, some of which have given me pause and I am reminded of the old saying that there is no smoke without fire. Clive: The great majority of F1 is in great shape. That the teams are willing to fight fire with fire is a healthy sign even if the fire is not. The more crap that comes to the surface, the closer we are to a solution. Now Honda, Mercedes, Renault, Ferrari and to a lesser degree BMW have in one way or another been painted with a dirty brush and they all lead to one or the other of two individuals. I'm sure both the manufacturers and the teams are tired in wallowing in this dirt and, despite any previous agreements, will still be looking for a solution. Undoubtedly they will find a solution soon enough. At some point I expect a massive class action suit against Mosley, Ecclestone and the FIA. When it's done there will be business as usual. just not clear it's the same color as the smoke. Peter: There's certainly a lot of smoke in the air these days, anyway! Anyone heard anything resulting from the interviews with Renault personnel? It has gone very quiet, from what I can see. And I thought I was wicked! I have to say that the whole story seems ridiculous. However I clearly remember thinking at the time that it looked a little odd. Piquet crashed at very low speed (almost as if to park the car correctly) and at the narrowest part of the circuit. As for people questioning a driver taking orders to fix a result, I am sure if it is true it is not the first or last time it has happened. What will be interesting is if it is true what course of action will the FIA Take? They are a little stuck as penalising them according to the precident they set with Maclaren would cement renaults withdrawal from F1 (not a good thing to do and not a scenario that we would like to see) but not penalising them to a similar extent as Maclaren then people will be asking some serious questions. True, or not true - or somewhere in between? A minor consideration when it comes to politics! Mosley’s diseased mind is merely carrying out an 11th hour housekeeping chore - “they may have greased the skids under my FIA tenure, but history will show that I took them along with me.” Williams and Force India can be discounted, but McLaren’s Ron Dennis has already departed the scene, BMW’s Dr. Theissen will be gone at season’s end, leaving Renault’s flamboyant Briatore a prime target towards evening out what’s left of the score. Yes, Montezemolo’s unscathed survival at Ferrari will likely keep Mosley awake nights for some time to come, but even his limited resources can recognize a political master who is best left unchallenged. So, who will be the real loser if - God forbid - Mosley is successful at the FIA’s kangaroo court? F1 stands to lose Renault and be subjected to a little more ridicule too, but it has survived both conditions before. However, no matter what part Nelson Piquet Jr. may, or may not have played, or perhaps will play in this little drama, the timing places him squarely under suspicion as the primary instigator of this belated investigation, which will not help an already shaky career in the upper echelon of motor sport, and a Mosley success will necessarily confirm that he performed the suspected deed too, which will definitely add another negative to Nelson’s racing future. No, using a political novice such as Nelson to gain his end will not play on Mosley’s conscience, quite simply because I doubt very much he is in possession of such a thing. Granted I am guilty of wishing away the season, but the FIA’s October election can not come soon enough for me - just a great pity that the little maestro’s position is not also up for grabs - and Jean Todt, please do the world a favour and go away, for you just don’t fit into an FIA presidential role. Hello everyone, could someone please explain if there is any difference between Alonso's spilling the beans on McLaren and Piquet' supposed after the fact coming-out? If Yes, then what is it, why is Alonso okay to continue racing all-be-it again at the center of a presumed deceitful act and Nelson is said to never again be given a chance? If anything, does Nelson not prove that he is a team player? Okay , and what about Alonso's future - his second time at the core of some incredible wrong doing and for him to say - "It wasn't me" - will be interesting to explain away - maybe like this "I shot the Sheriff, but I didn't shoot the deputy"
Well, I say: Oh No! Oh No! Nick: Bernie may try to blame the circuit owners for high prices but we all know that they are the result of his sale of the commercial rights to CVC. If the holding company is unable to pay the interest on its debt already, how likely is it that they will demand less money in the future? The plain fact is that CVC was led up the garden path by Bernie and only he has benefited from the sale. It looks like the fix is in...or was in. There is something positive to be garnered from this though. The waves created due to gambling revenues and the 08 world championship both come into question. At some point waves will become big enough for a full scale enquiry to be necessary. On the other hand, if this sort of thing continues unabated, considering the amount of cash involved, even more desperate acts will be probable, that will necessitate a full scale enquiry. This interminable mess can all be traced to the dark and crooked cloud F1 has been operating under for what seems like an eternity (Mosley & Ecclestone). if there is one single person I really, really liked in F1 then that is Pat Simmonds! Now what might happen to either him or Briatore should the implied fix become fixed fact of truth? Now having read Pat Simmonds statement and seeing him not answering specific questions it is clear that there was a fix. Clive you once asked whether F1 is a sport : I am beginning to come to a final conclusion that there is simply too much money involved for it to be called anything other than an entertaining business venture. Michael: Depressing, isn't it? Nick made the point that this may be the "cleaning out" that F1 needs and that it is all for the good. I hope he's right and that it can return to being a sportsmanlike contest between honourable teams. I thought something was up a few days ago when onboard Singapore 2008 laps started disappearing from Utube, but never in a million years would I expect to see a signed confession from Jnr, Oh lordy there`s a storm brewing.